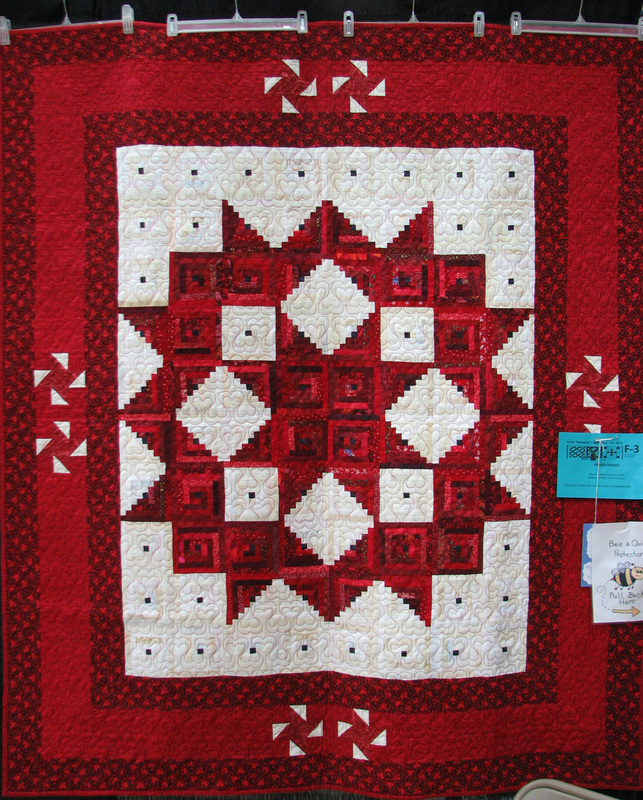 Just part Custer Piecemaker’s Quilts of Valor exhibit. 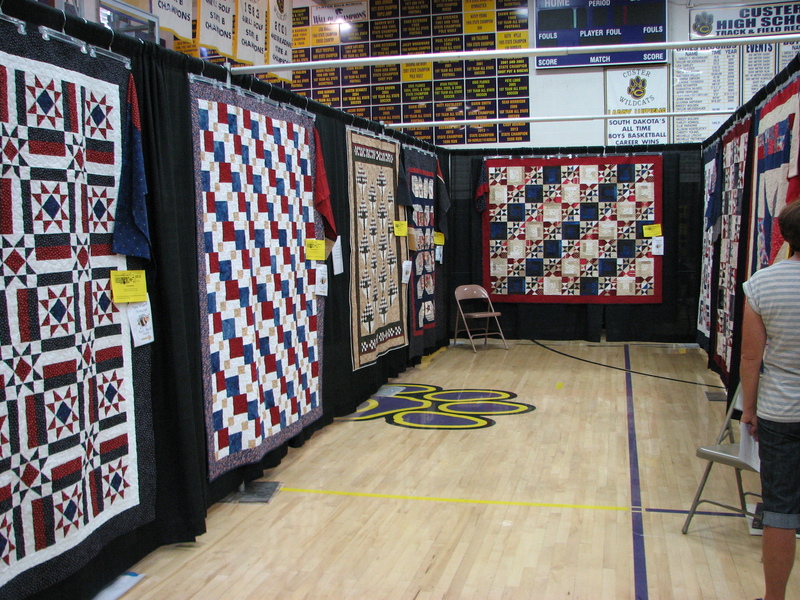 Each quilt comes with a matching presentation case. 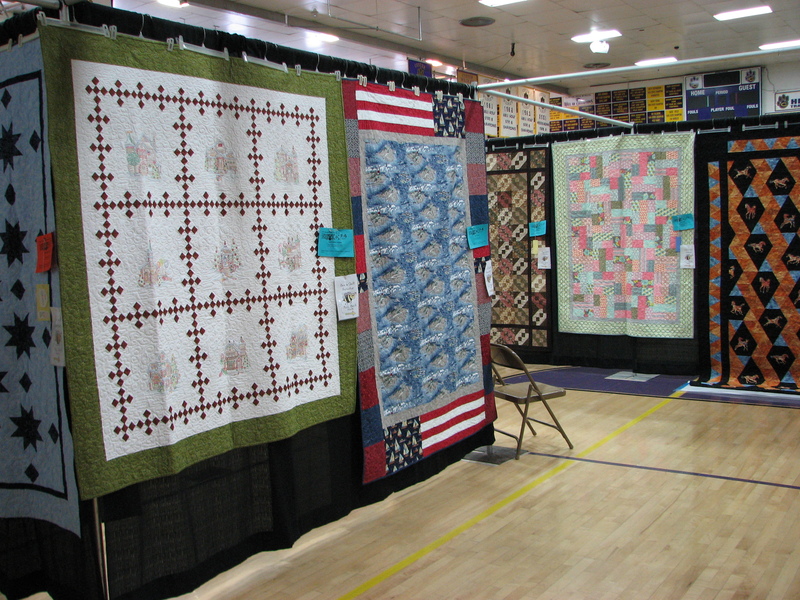 Custer Piecemaker’s are involved in their community and give to Quilts of Valor, Kwiltz for Kids, and families in need. 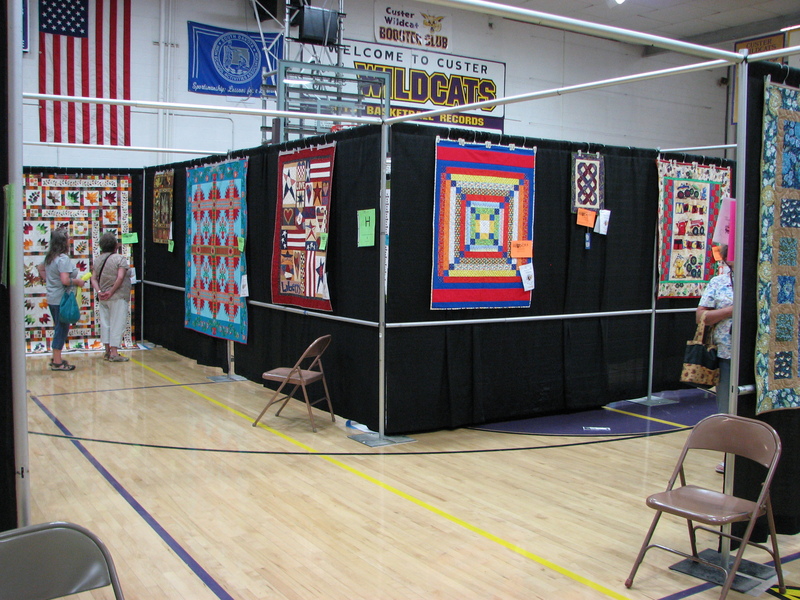 The Quilts of Valor exhibit occupied three or four exhibit walls and many of the quilts in the show were destined for Kwiltz for Kids. Impressive. 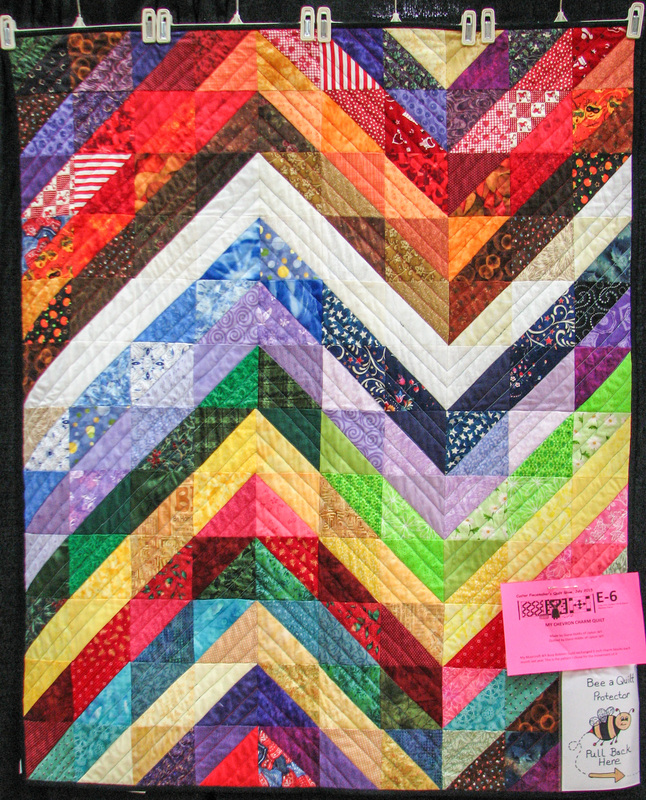 The guild does a UFO challenge with extra points for categories like “My Baby is too old for a baby quilt”, “It’s not how I imagined it would be”, and “What the hell was I thinking” quilts. Hysterical! 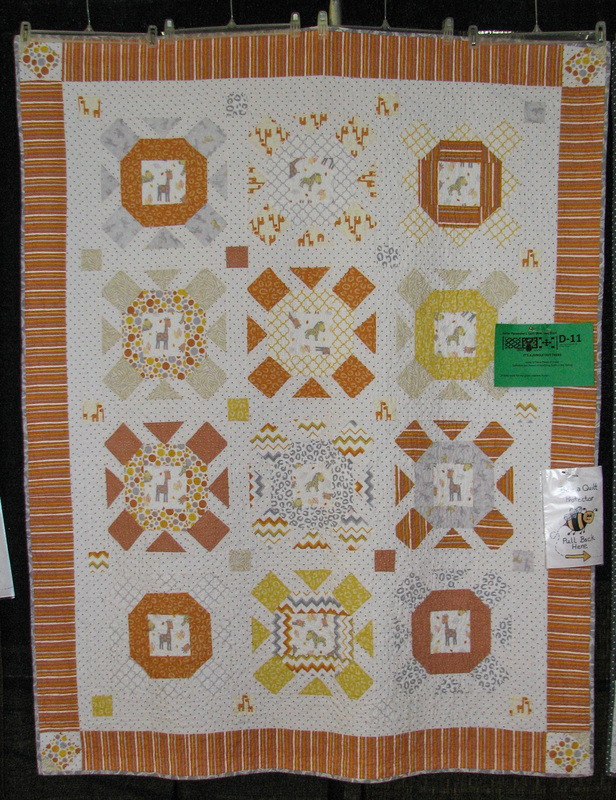 I enjoyed the show with its blend of traditional and modern, pieced and applique, hand quilting and machine quilting. Everyone put up their best work. 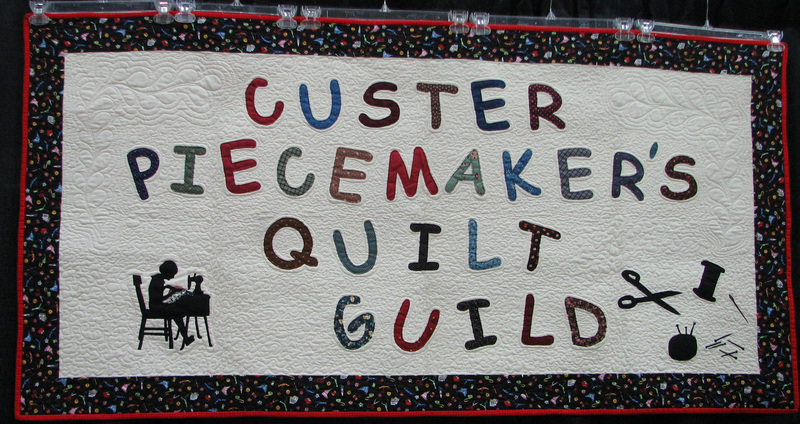 Thank you, Custer Piecemaker’s, for a unexpected quilty event during my trip to South Dakota. Picking a favorite in each category was so hard! 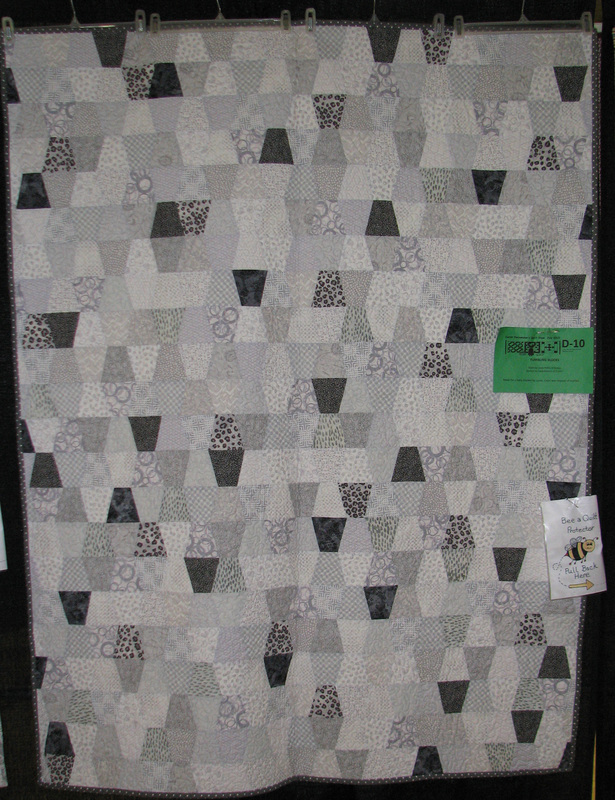 To finish up, here are some long shots from the show. 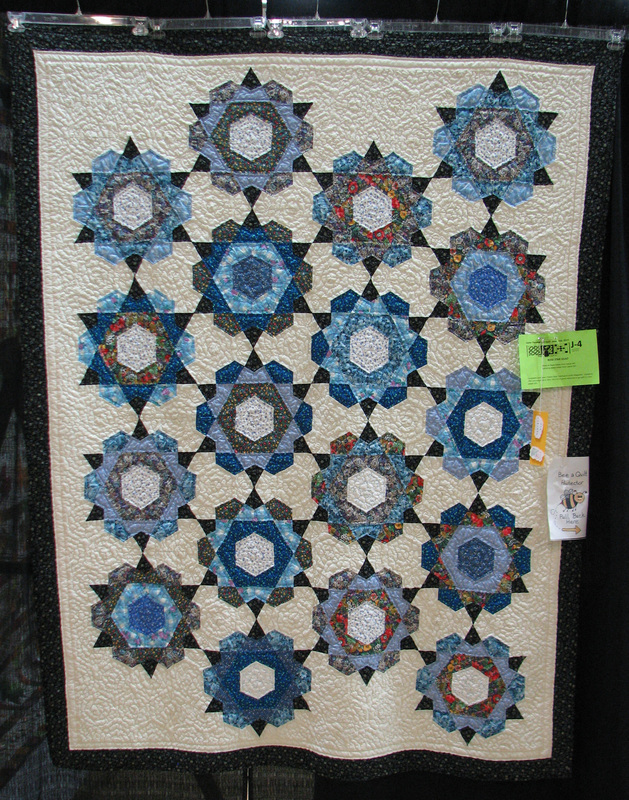 WOW – that radiating star quilt in your “long shots” picture. That would be fun with some super saturated modern colours. 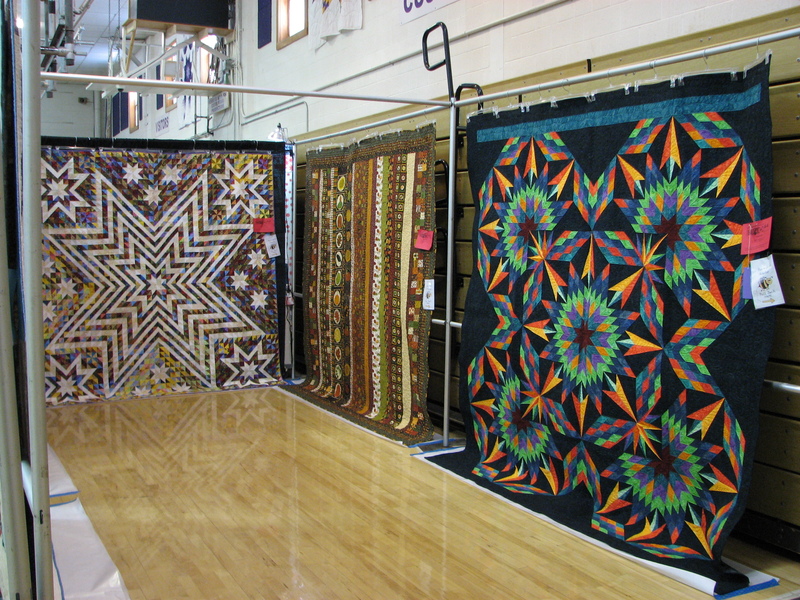 Thanks for sharing your experience at this show. 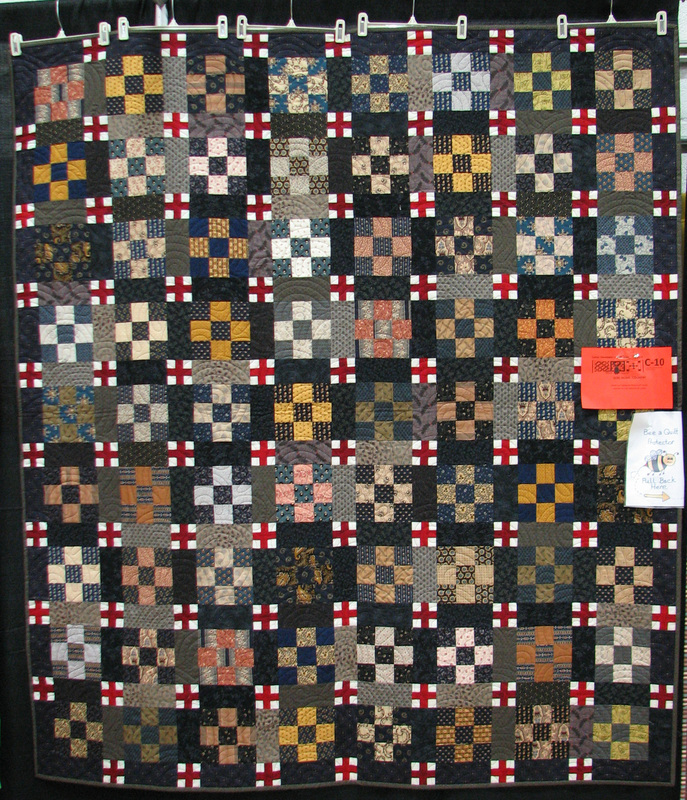 It reinforces my belief that quilters are generous, creative and have a good sense do humor!